You will need administrative rights on your windows computer to complete this task. 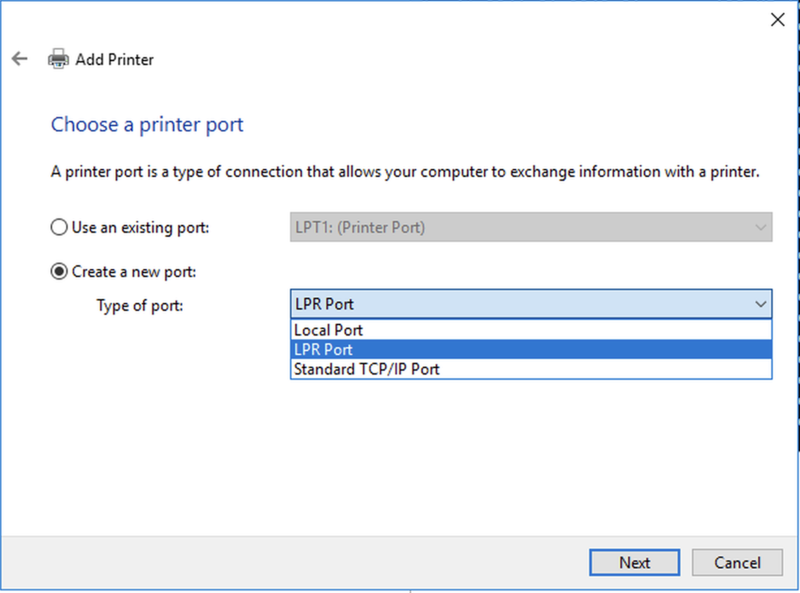 The UK CS department uses LPR for network printing. This feature is not included in Windows by default. The following procedure is for Windows 10 but should work on windows 7 systems as well. 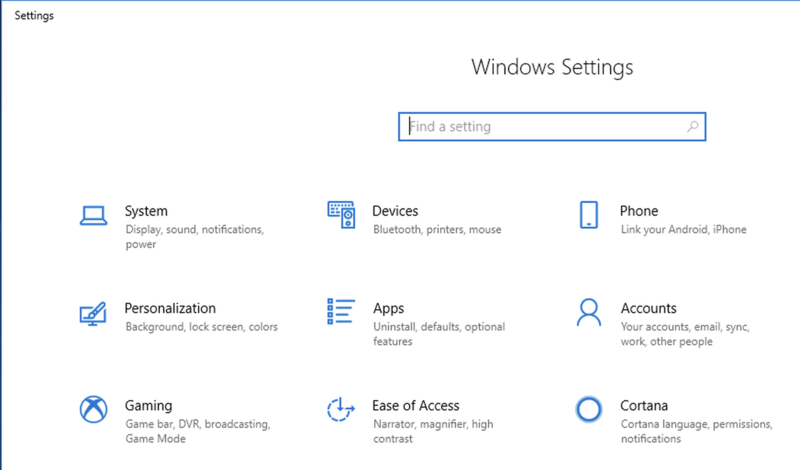 To enable LPR on windows machines, click on start and type “turn windows features” into the search bar. 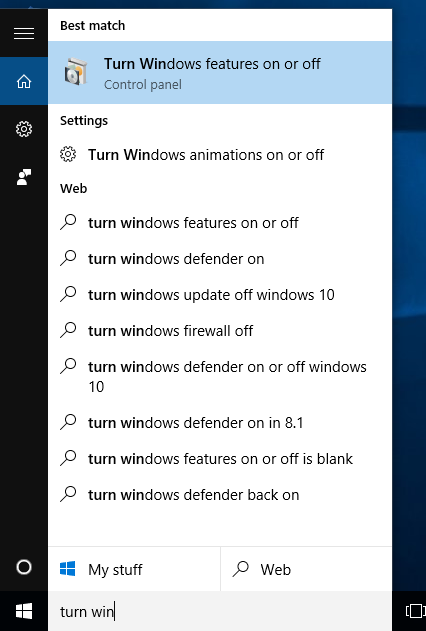 Click on Turn Windows Features on or off” option at the top of the start menu. 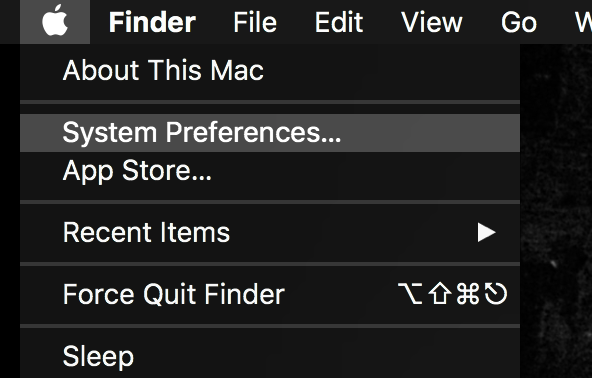 Reboot the computer to active the new settings. This procedure from this point forward can be performed with regular user credentials. 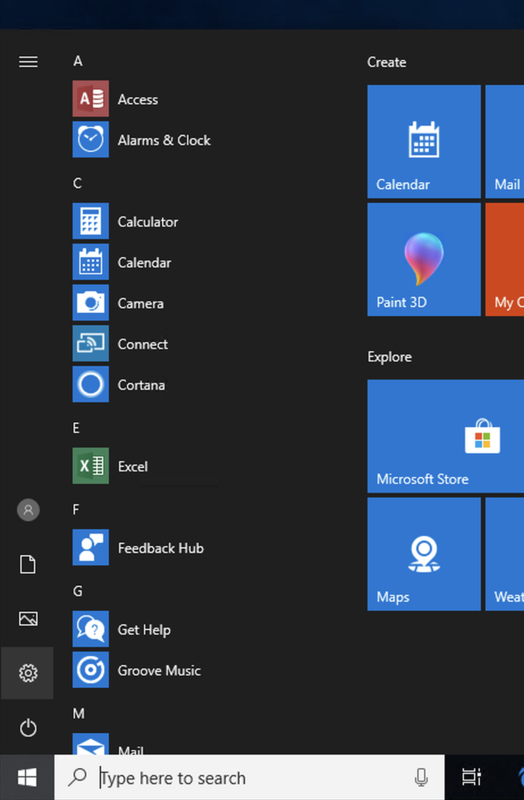 Click on the windows icon on the lower left corner of the desktop then click on the gear icon (up two spaces) to open settings. 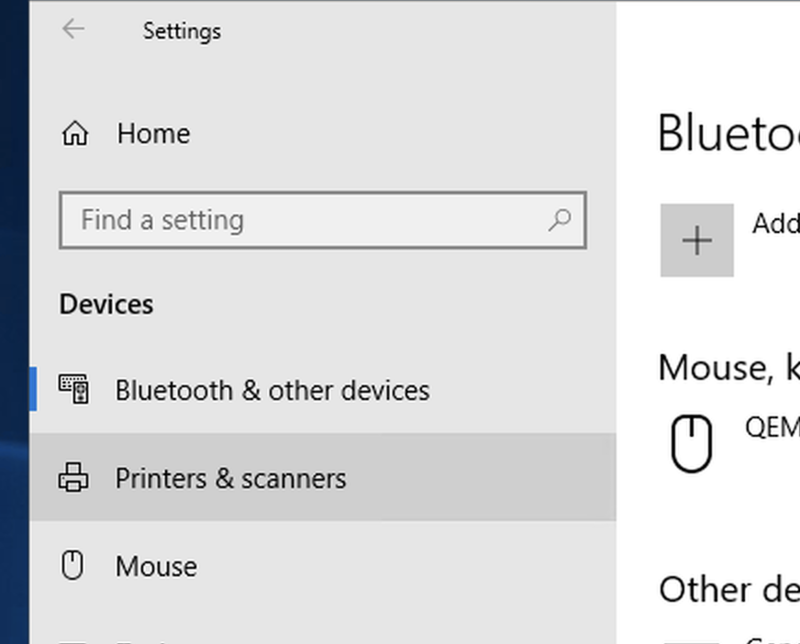 Once the “Windows Settings” window has opened, select “Devices”. 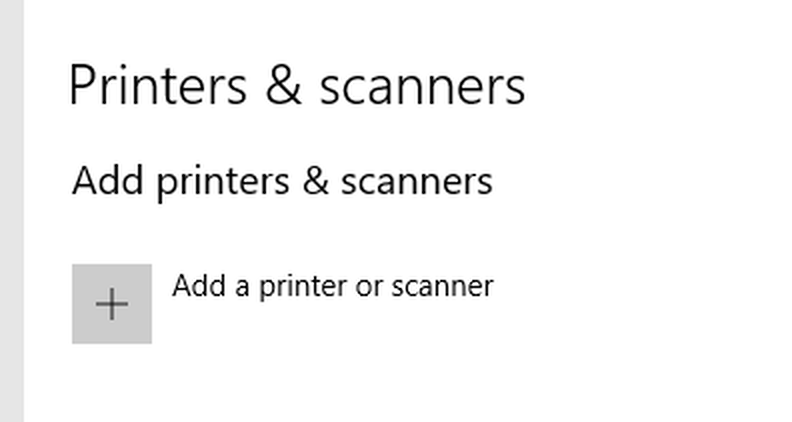 Select “Printers & scanners” from the Devices menu on the left. Click on the plus symbol below Add printers & scanners. This will scan the network for available printers, since we are primarily a Linux shop, the printer you are looking for will most not be detected. 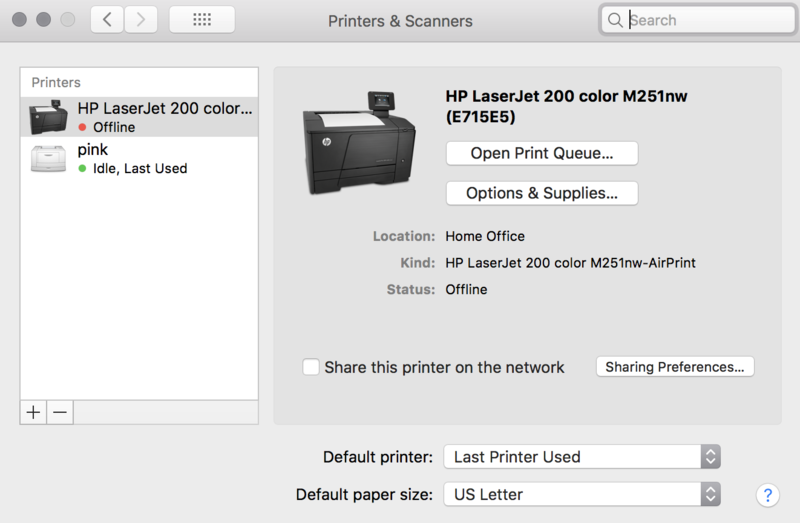 If the printer you would like to use is the Marksbury Copier, click on it and it will be added to your available printers. 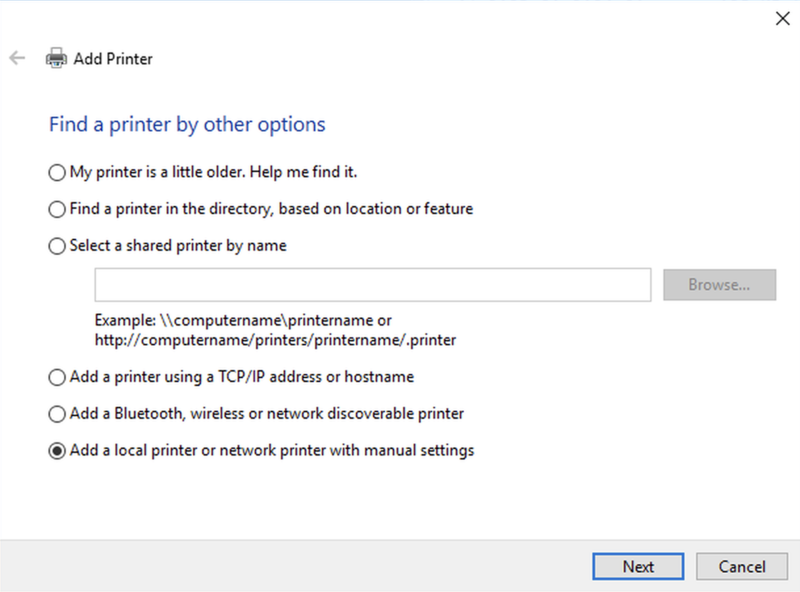 Otherwise, click on The printer that I want isn’t listed. In the new window that opens, click on the radio button next to Add a local printer or network printer with manual settings. Click Next. The next window allows us to create (or choose) a printer port. 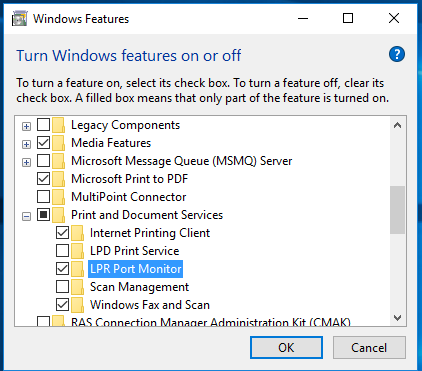 We need to Create a new port, drop down the menu and select LPR Port. Click Next. 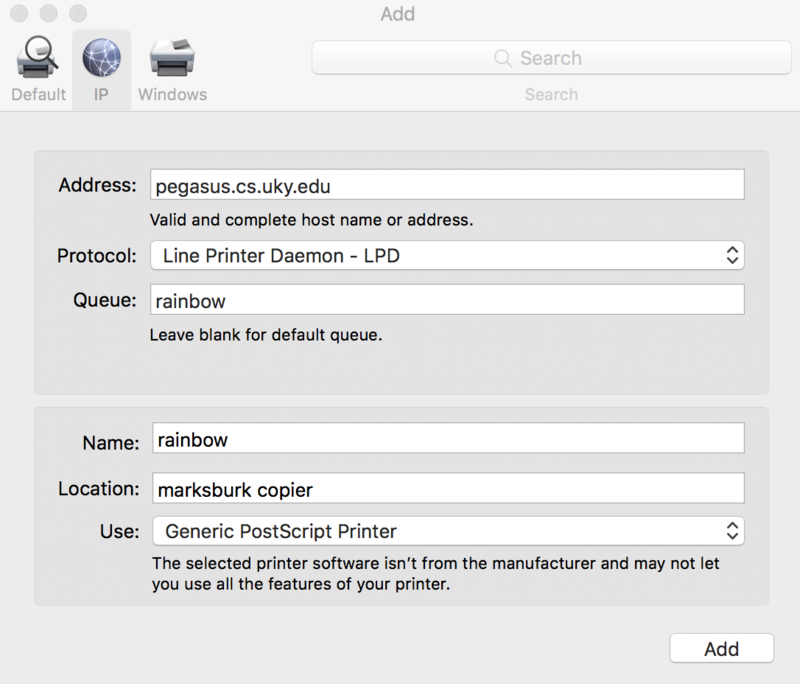 In the new window that opens, enter the following in the first blank: pegasus.cs.uky.edu and in the second blank enter the name of the printer, for this example, the name of the printer we are installing is pink . 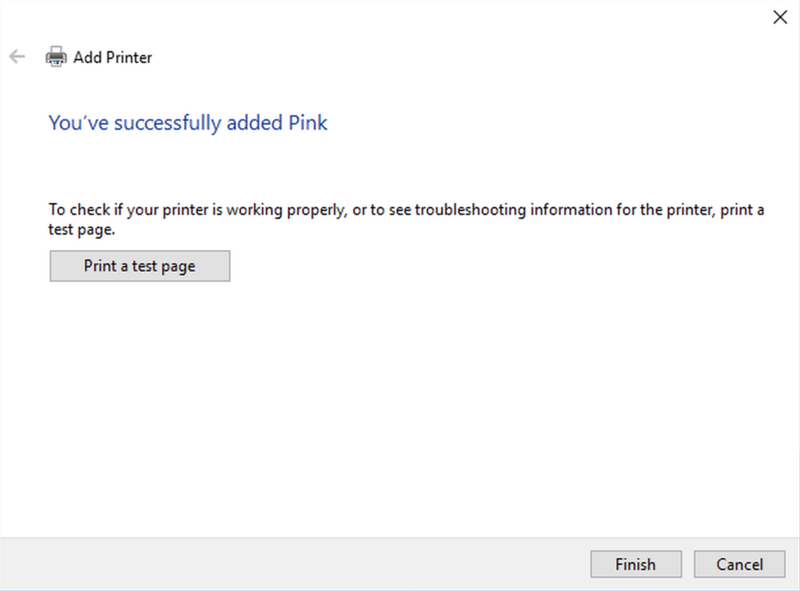 Enter the name of the printer you are installing in place of pink. 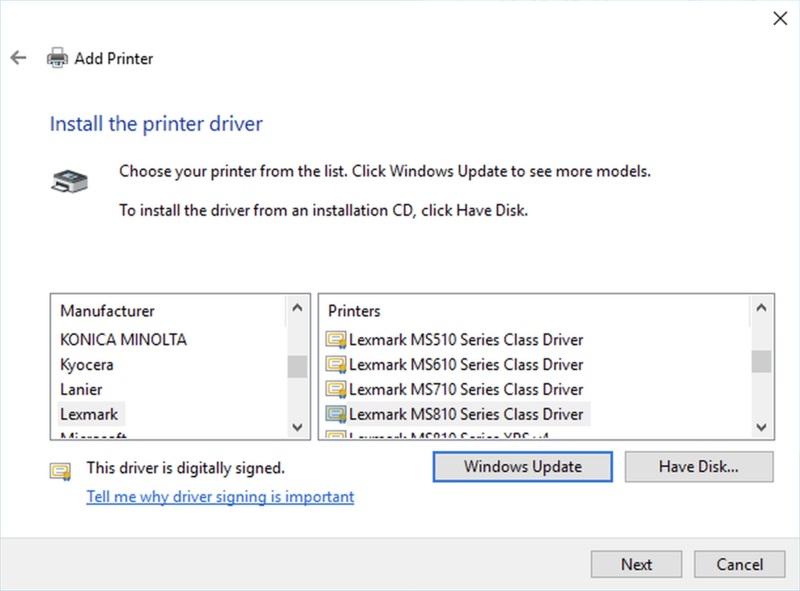 Click OK.
Now we need to select the correct printer driver. 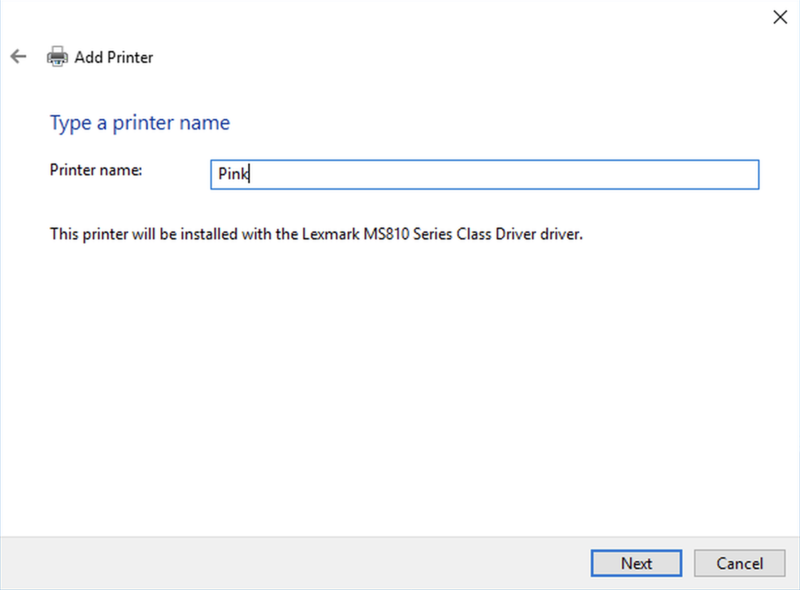 Pink is a Lexmark MS810dn but you should check the printer model you are connecting to and use the driver for that make and model. If the exact make and model is not available click on Windows Update and search for it, the required driver will be available. If you are having problems locating the driver, send a message to help@cs.uky.edu. Change the name from the default to something meaningful. It’s a good idea to name the printer by the common name, i.e. Pink. Click next. 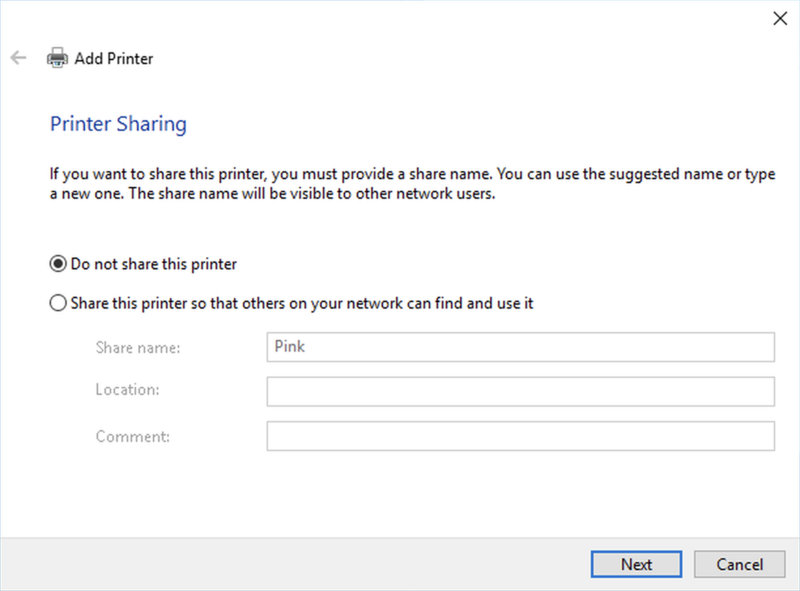 Make sure to select “Do not share this printer” (the printer is already shared). Click Next. Click Next and the printer should now be successfully installed. 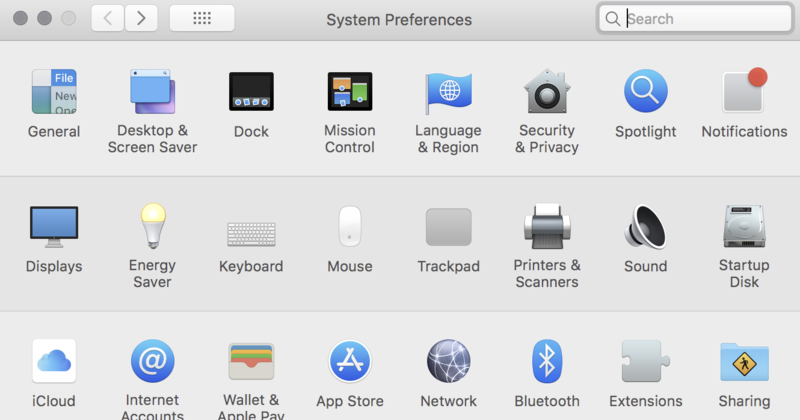 Go to system preferences by clicking on the Apple logo at the top left of the screen. 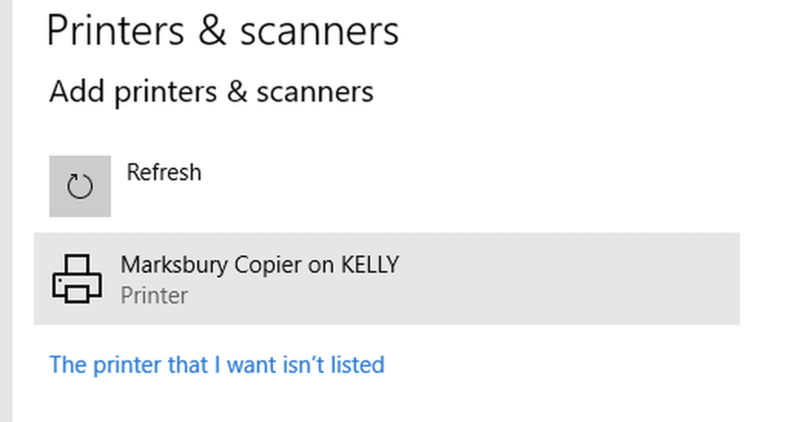 Click on Printers & Scanners, usually located on the second row of icons. You should now see all installed printers. To add a new printer click on the plus sign near the bottom left of this window. A drop down menu will open when you click the plus sign ( ), select “Add Printer or Scanner…”. In the new window that opens, click on the Globe labeled IP. In the Address: field enter pegasus.cs.uky.edu. For Protocol: select Line Printer Daemon - LPD. And in the Queue: field enter the name of the printer you would like to connect to. The name of the printer is optional but it is recommended to give it the same name as the queue. Enter a location that is meaningful. Click Add.